Create an efficient work environment. Finding the right storage solutions for your home office is a vital part of maximizing the efficiency of your work day. 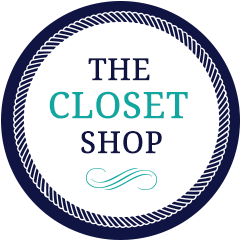 The Closet Shop can help you design the ideal workspace to keep you organized and on track throughout your day. Whether a large separate room, or a nook off the hallway, your home office is uniquely you, reflecting your personality and space needs. Choose from 11 colors and six styles of the highest quality cabinets to create a work environment that will be both functional and attractive for years to come. As always, all our products come with a lifetime guarantee.